Balfour Beatty is hoping to start work in August on the £28m new Women and Children’s Unit at the Princess Royal Hospital in Telford. The Enquirer understands that Balfour will submit its finalised Guaranteed Maximum Price deal to the Shrewsbury and Telford NHS Trust in July ready for work to start within weeks. Capita Symonds has been appointed by the Trust to provide civil, structural and mechanical and electrical engineering services on the project. 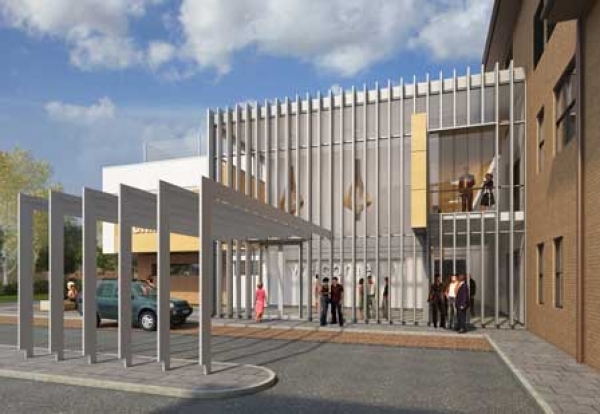 The proposed structural solution is a steel frame with composite metal deck and concrete slabs with the key challenge being dealing with the requirements for very rigid and inflexible floorplates in sensitive areas such as the operating theatres. Aedas is architect on the project which is expected to be completed by early 2014.